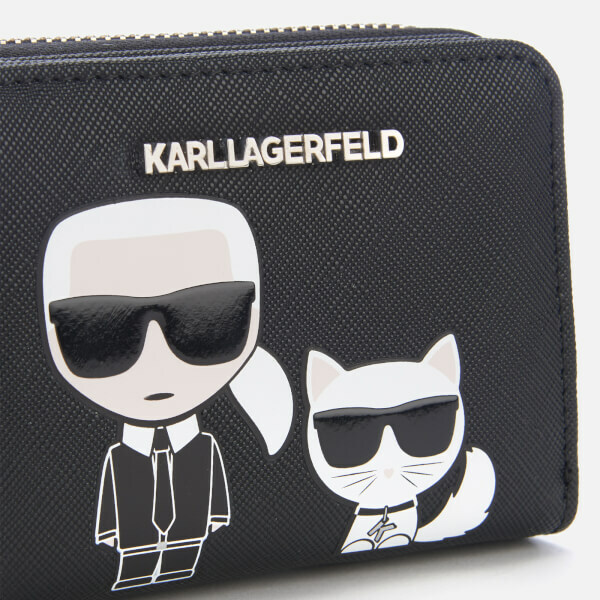 Small yet practical, the faux saffiano leather wallet from Karl Lagerfeld showcases signature artwork of the designer and his cat, Choupette. 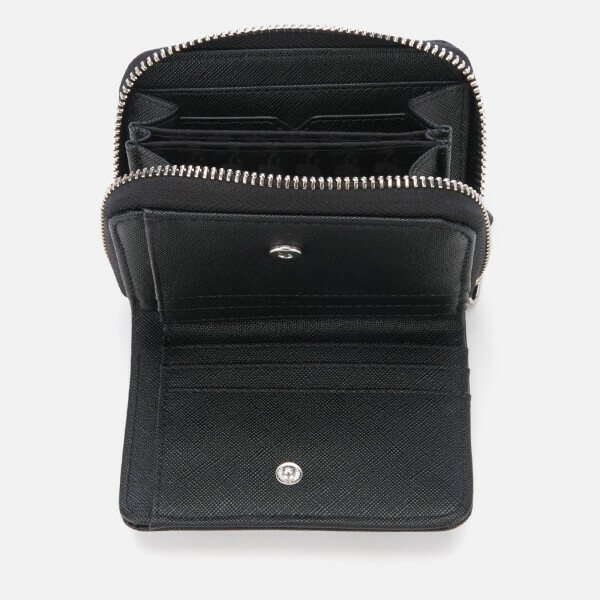 The 'K/Ikonik' purse comprises a press stud compartment and a zipped section with multiple card and note slots. Appliqué branding and silver-toned hardware accentuate the design. 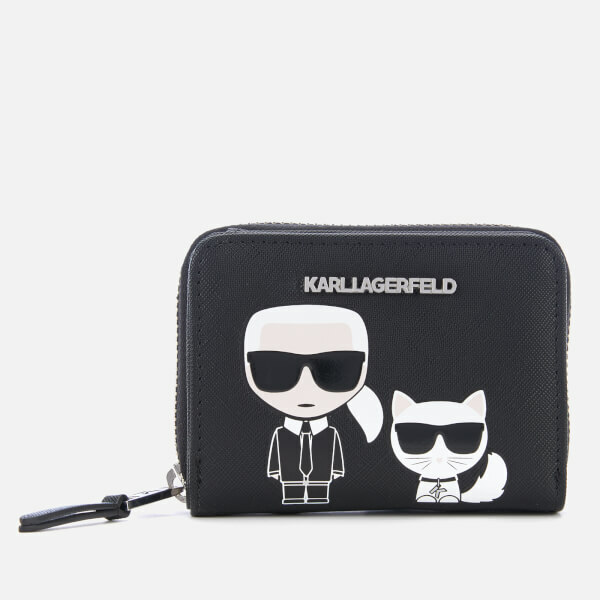 Tonal lining with repeated Karl silhouette. Dust bag included.